Next Review Update and Anime Expo! 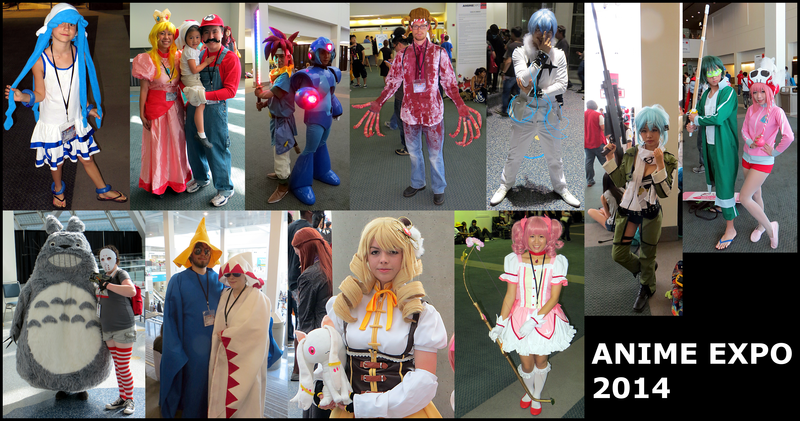 First, I spent last week at Anime Expo 2014 with my editor. We had so much fun but it also cut into my listening time dramatically. Most of my quality listening time was on the plane although I was heavily reading mangas at the time so maybe it wasn’t as quality as I think. AX was amazing! Over 60,000 80,000 people attended. I got to sit in on a panel featuring none other than Keiji Inafune! He received a standing ovation when he entered the room and rightfully so. He helped define my childhood and probably the childhood of many of my readers. It was so awesome to be in the same room as him. On the music side of things, I attended a concert by Eir Aoi. The energy she brought to the stage and kept throughout the whole concert was unbelievable. So many times I thought she was going to quit but she would take a quick drink of water and just keep going. It was unreal. I figured since this was my third time going that it would start to get old but this year has left me with more positive energy than ever. The people there truly are amazing in so many ways. My original plan was to write the review on Monday but we had airplane issues on the way home which set us back an entire day. Rather than trying to rush through a review so I can start on another album, I decided to wait until this weekend so I can write a proper one. And this album definitely deserves 100% of my attention. The album I’m working on is a two disc set. It’s two hours long so even a work day is just 4 listens. It’s a really complicated album too so I’m hoping the extra time of another week will be worth it. I chose this album specifically in honor of our trip to Anime Expo. For those of you wishing I would review classical music on here, this is probably is as classical as it’s going to get. Yay! Let me know what you think of Kiki. I really hope my next review will convince you to watch another anime. This next one is definitely not appropriate for K though. Way too emotionally intense for her.